Vastu is a concept to follow for our homes in dominating the bad effects. The system excellently delivers greatest thoughts of turning ideas to the residents, which will be fully supported by the ideal construction methods, dwell delivers fresh, intelligent coverage of modern residential architecture and design, communicating sophisticated concepts in a style that is engaging. 1. Paravidya or Knowledge relating to the physical, intellectual and spiritual aspects of life. 2. Apara vidya or knowledge relating to the physical, intellectual and spiritual aspects of life. Here our interested subject Vaastu Shastra relates to Sthaptya Veda. Vasthu shastra involves an understanding of Jyotisha, Tantra Shastra, Agama Shastra, Geometry, Engineering, Geology, and Architecture apart from many other disciplines of knowledge. In other words we can say like this way, this subject Vaasthu Shastra defined as the science of Energy from the Universe or from the earth that turns or converts into material form that what we are getting from the nature, by simple we called it as Vastu Shastra Power, this is nothing but nature's power. Einstein's Theory E = mc2 is reflected in this ancient science. There are several experiences to the experts that an un-shown power is a sensible while after making alterations to the properties. The cosmic energies are converted into material benefits for the residents of the vastu built property. This subject Vastu Shastra helps us to live in harmony with Nature Power. It converts living spaces in a particular order that sets an equation between cosmic energies and the people living in the building to ensure physical, spiritual and material well-being. It creates a rhythm and balance in the building to ensure a qualitatively better life for the inhabitants. Although deeply concerned with the Five Elements, it takes into cognizance the various other known and unknown cosmic energies. The ancients deeply understood these energies and tried to harness their positive influences on human life by a methodical placement of doors and windows, rooms, hearth and ovens, water bodies, open space in and around a building and other things. The cosmic powers around the universe have shadowed on all the constructions and properties, if the property is according to vastu shastra then it is a great possibility to receive the positive cosmic powers to it. Why we showed this image and particularly this home. Actually this home was built in Chennai, and its East facing home, due to erratic construction they lost their efforts and many negative results was appeared in that home, after getting many bad events they removed the home and again they built, this time also they did not manage with good expert vastu consultant, again they seen the vastu consultancy fee and approached the half knowledge Vastu person and lost the money in the name of construction. If a property construction or the surroundings are against to vastu shastra, then there is a chance for punishment from the Five elements or Panchamahabhootas. This image is only for understanding the purpose. If construction is against Vaastu principles, there might be a chance for getting several painful issues or incidents to the residents of a property. Vaastu will regulate the flow of cosmic energies for the happiness of the residents. The balancing of the primary elements of nature is done by proper placement of furniture, electrical and electronic gadgets, water bodies, doors, re-locating doors and windows, zone selections, placement of several other items in the house etc. 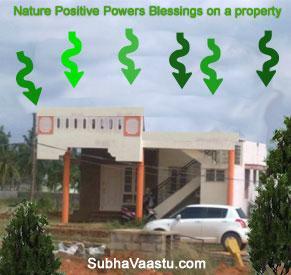 Everybody has a good thought to have one dream home, if you wish to construct or buy better to search for a house having good vasthu rules and principles followed property, your entire life will go smoothly with Vaasthu Shastra Principles. The above images are only for the understanding purpose. Please note that sometimes or in some places or in some occasions there is no chance for doing alterations to the properties, at that time you may do these simple suggestions or works. Cleaning is a most and vital role in the vastu shastra. House cleaning is important, please note this point. Each and every room or place of the property should be clean and neat. The walls should not be shaded paint, putty paint is also giving good positive results to the property. Thick walls are playing an excellent role in the vastu shastra. If there is a chance for constructing with thick walls like 2 feet like that, then don't lose this chance, try to construct the house walls or any property walls in thick walls mode. Otherwise, it is always better to consult one expert Vaastu pandit for peaceful and secure future. Vastu tips for Tenants, now a days many tenants require to know which home is good and which home is bad for the rented purpose. We get very pain after knowing their good house vastu search. They don't have home, they are looking for only rented property. How bad it is. For them this link is helpful. Vastu Consultant in California our Indians are rapidly developing in USA and most of them looking for good house to buy. This link is more helpful in their search. Factory Vastu This link helps us to find a good factory to buy or to find a good site for our factory. Vastushastra Consultant Surat Surat, Gujarat if any body likes to buy homes in Surat city in Gujarat state, for them, this link is helpful. Many residents through out the world searching for the best vastu consultant in India for them this link will definitely helpful. We are regularly updating our vastu pandit website with the latest research information. We are expecting your support to make this website more available to all residents in our society. Is vastu shastra really works to movie artists? Who is best vastu consultant in Telangana? Like to know Bungalow Vasthu shastra information? How to know that Northeast pooja room is good or bad? 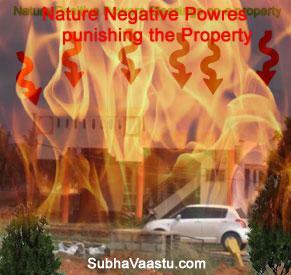 Vastu for Property owners, what are the instructions to them? Is street focus hitting to a house or property is bad or good, how to check it? Looking for East facing house vastu plans, where can I get in this website?